Diocesan Parents and Friends Association will host the much anticipated Dio House Tour for Causes. 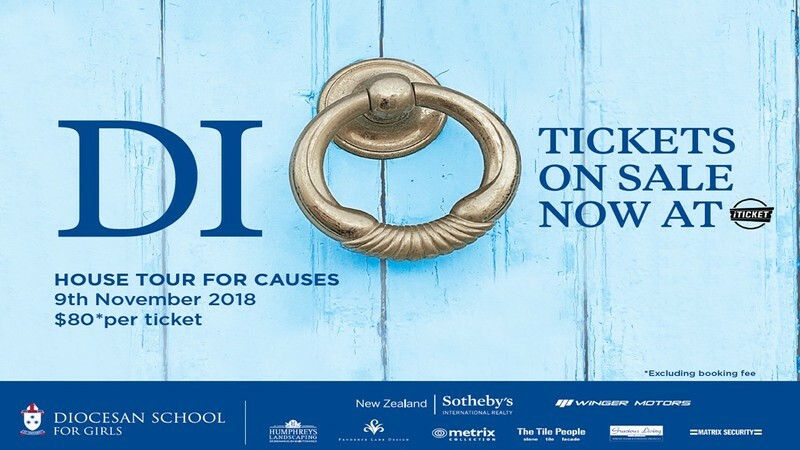 A collection of generous homeowners from the wider Dio community will be opening their homes for the Tour, and we expect this to be an extremely popular event in the Dio Calendar. While raising money in support of school activities and for the homeowner nominated charities, this day will also serve as a friend-raiser, bringing together the Dio community in the spirit of our school motto Ut Serviamus. This year’s Tour will offer a wide variety of properties for all ticket-holders to enjoy and appreciate. Whether its a grande dame villa or a rooftop garden with views of Newmarket, the architecture will fascinate. From a Ponting Fergusson designed home with commanding views of Rangitoto, to a cliffside Herne Bay home with private beach access, there really is something for everyone to feast their eyes upon. Back by popular demand our Dio preserves, chutneys and Jams will be available to buy on the tour, along with some Christmas treats and luxury items. Each home will also have some amazing raffle prizes available for you to purchase tickets as you go. We look forward to giving you a wonderful day’s entertainment. Please ‘like’ our Dio House Tour Facebook page to keep up to date with all our Tour news. Thank you for your support! There will be various raffle items for only $2 a ticket positioned at every home.